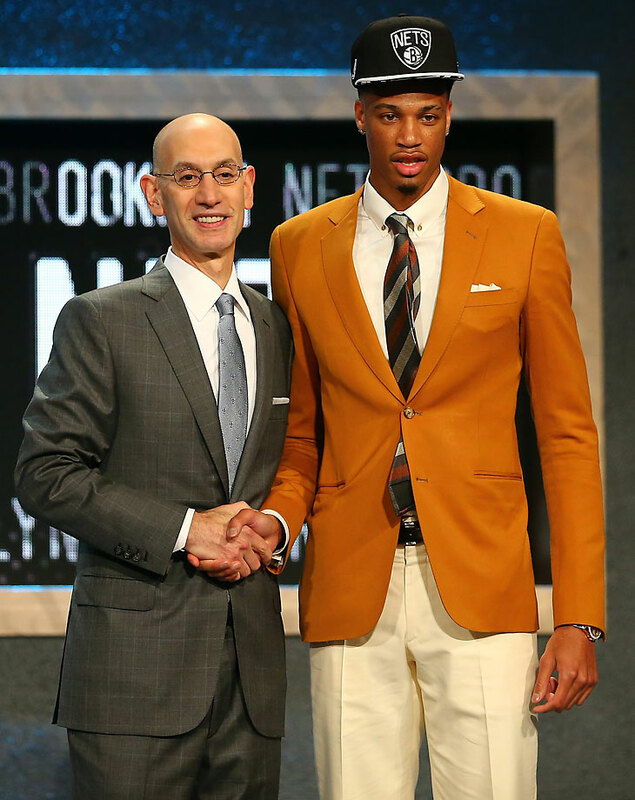 Running down the winners and losers from the 2015 NBA draft. From Karl-Anthony Towns, the No. 1 overall pick, to Luka Mitrovic, Mr. 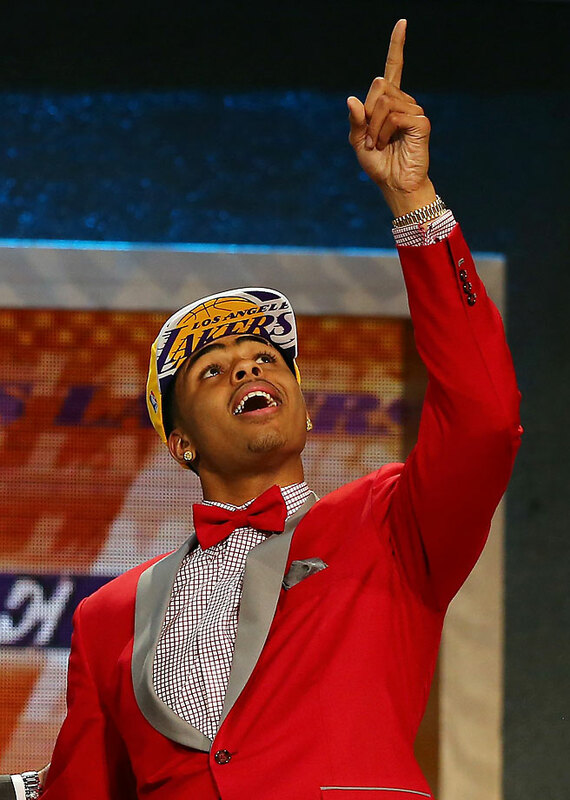 Irrelevant, the 2015 NBA draft is officially in the books. Here's a rundown of the biggest winners and losers from Barclays Center. 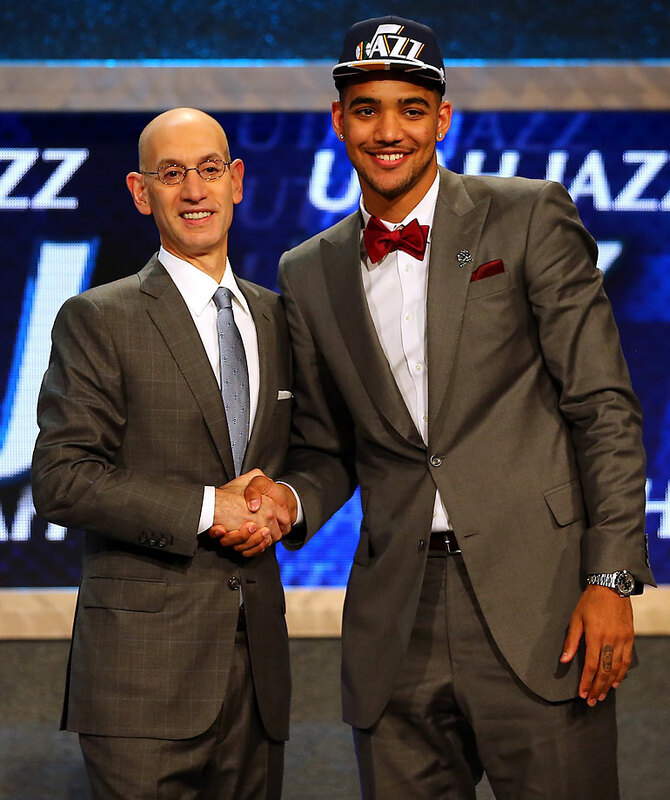 There was little suspense by the time NBA commissioner Adam Silver announced Kentucky's Karl-Anthony Towns as the No. 1 overall pick on Thursday night. Minnesota's decision had already been expected for weeks. 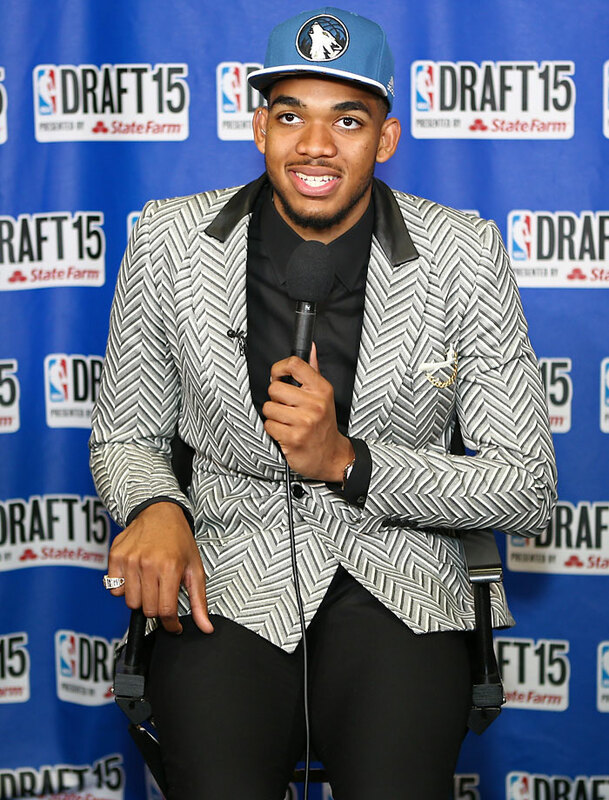 Towns going first wasn't always such a cut-and-dried formality. 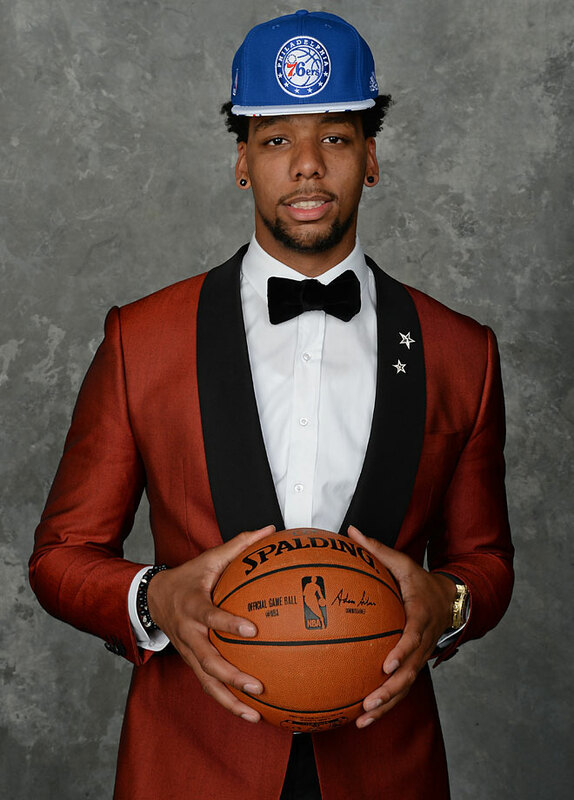 Indeed, NBA and college analysts alike spent the better part of the spring debating whether Towns or Duke's Jahlil Okafor was a more worthy selection. When the Timberwolves won the draft lottery, their fans had reason to be nervous. Saunders played the role of "old school" executive to a T last season, discouraging his players from shooting three-pointers, shrugging off the idea that resting players might be a good idea, and publicly declaring that Kevin Garnett's locker-room mentorship would be more valuable to a rebuilding team than the first-round pick Saunders gave up to acquire Thaddeus Young, whom he turned into Garnett. 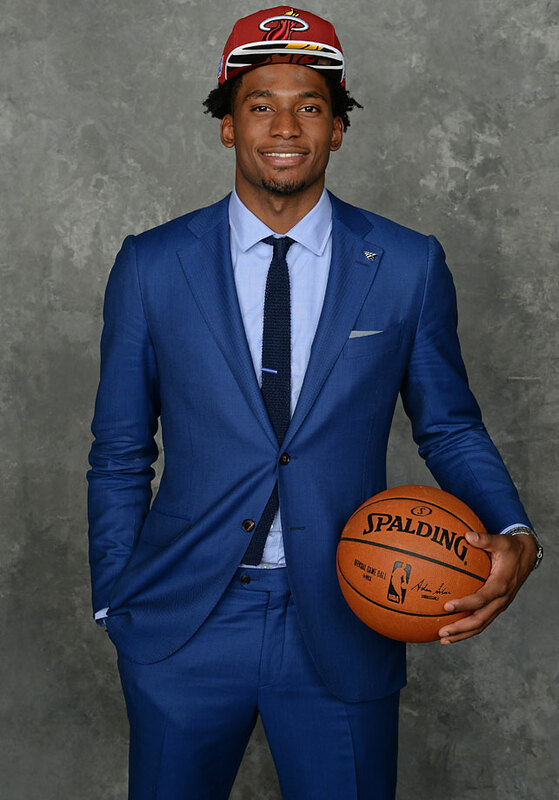 Wouldn't a "Don't bother to change with the times" executive, who also happens to coach the Timberwolves, be tempted to select a Okafor, a low-post scorer with NBA-ready moves? Wouldn't Saunders be especially open to the idea given his close relationship with Okafor's agent, Bill Duffy? As it turned out, Saunders cut through all of that and selected the best all-around prospect in Towns. Yes, Towns might need a bit more time to develop than Okafor, but a little patience will pay huge dividends. In Towns, Minnesota is getting a premium talent who matches 2014 No. 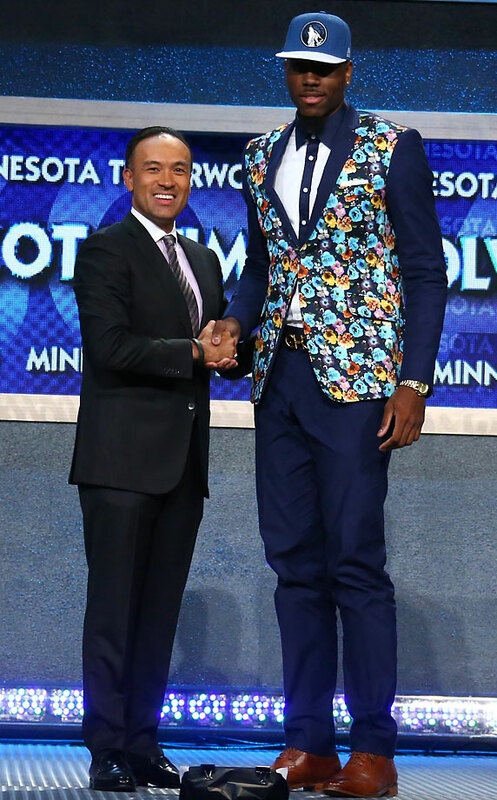 1 overall pick Andrew Wiggins when it comes to upside. Towns, like Wiggins, should be a game-changer on both ends once he fully blossoms: He's a player whose inside-outside offensive game will cause problems for opposing defenders from the rim to the arc, and the advanced numbers suggest he will be a strong post defender too. Sooner or later, Saunders will need to relinquish head coaching duties so that he can fully concentrate on rebuilding a roster that still needs a ton of work. That's one last bit of good news on draft night for Minnesota fans: Towns's arrival should make the Timberwolves job a lot more attractive to coaching candidates. The Lakers have taken more than their fair share of lumps in recent years. Well, come to think of it, all of the lumps have actually been fair, as it's just been one bad decision after another. That streak of depressing moves and questionable signings seemed to change with the selection of Ohio State's D'Angelo Russell on Thursday. A major gripe with the Lakers, much like the Timberwolves, has been the perception that they're living in the past. 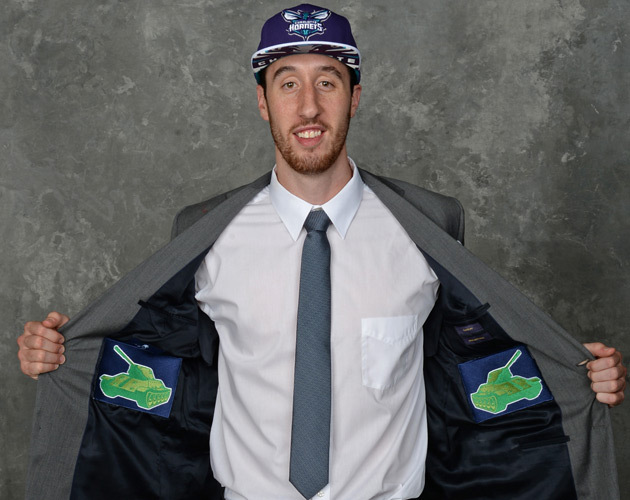 The franchise went above and beyond to avoid the perception of tanking, making it a moral issue and putting their 2015 pick at risk of being conveyed to the Sixers. Coach Byron Scott questioned the importance of three-pointers again and again. Kobe Bryant continued to be the end-all, be-all, even though he's now suffered three straight season-ending injuries. The front office and ownership attempted to appeal to free agents with the franchise's past glory, a pitch that seemingly has fallen flat. ​By taking Russell, the Lakers avoided making the easy choice. The easy choice would have been Okafor: conventional wisdom has long held that you can't go wrong with a big man, especially one from a blue chip program like Duke. In L.A., the pressure to have a headlining big man is particularly heavy, given the long line of standouts that includes Wilt Chamberlain, Kareem Abdul-Jabbar, Shaquille O'Neal, Pau Gasol and so forth. 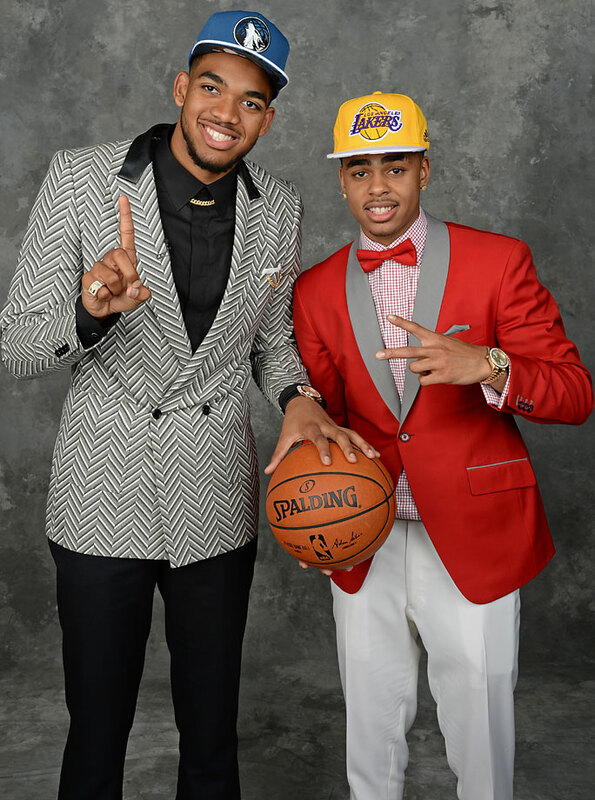 The problem with Okafor in L.A. was that his fit alongside 2014 lottery pick Julius Randle looked pretty questionable. The two players would surely need to log a lot of minutes together, yet neither stretches the floor at all on offense and neither protects the rim on defense. Both players need regular touches to be successful, and it's easy to imagine a clogged painted area in which they regularly got into each other's way. In Russell, the Lakers appear to have a talented play-maker with the very "modern" ability to create for himself and others. His vision and passing ability should bring a little excitement back to a drab Lakers product, and he has a superstar's ceiling. The angriest, and most predictable, fan reaction came when the Knicks selected Latvian forward Kristaps Porzingis with the No. 4 pick. Knicks fans in attendance at the Barclays Center lustily booed the pick, with one young fan nearly breaking down in tears, amidst fears that he will be another international bust, like Darko Milicic or Jan Vesely. ESPN's Stephen A. Smith lost his mind over the selection after the draft concluded, taking issue with Porzingis's NBA readiness and Phil Jackson's stewardship of the Knicks, while actor Michael Rapaport tweeted out an incredibly profane and xenophobic tirade about Porzingis: "They drafted who? Who the ---- is this? This -------- might not even have a ------- green card. Get the ---- out of here, you -------------." In the face of such strong and, in some cases, ignorant feelings, the 19-year-old Porzingis offered a thoughtful and calm defense of himself. "I have to do everything that's in my hands to turn those booing fans into clapping fans," he told reporters. 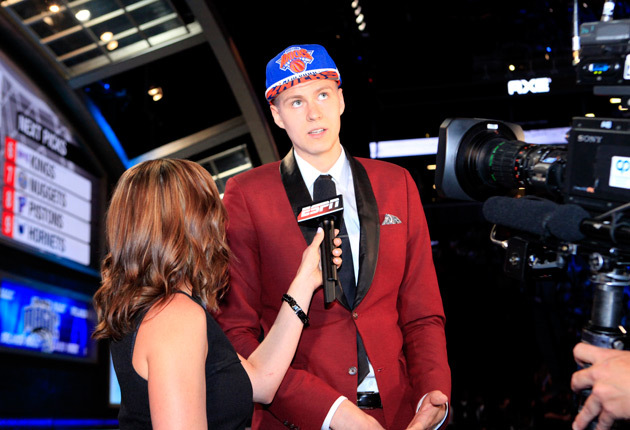 "I was happy about [being taken by the Knicks]. I want to be a part of this organization. I know the fans are a little harsh sometimes, but that's how it is here in New York, and I'm ready for it." Kudos to Porzingis for taking the high road to an acceptance that may or may not ever come. The Nuggets have been in a free fall for the last two seasons, lost in a cloud of poor signings and locker-room issues that started with the losses of former GM Masai Ujiri and coach George Karl. 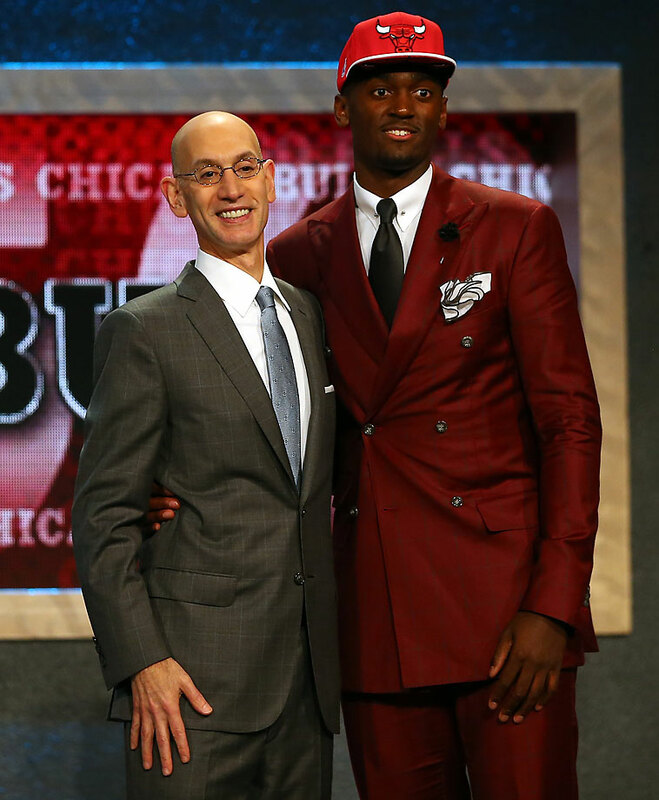 Finally, things came up Denver, as Emmanuel Mudiay fell into their lap at No. 7. 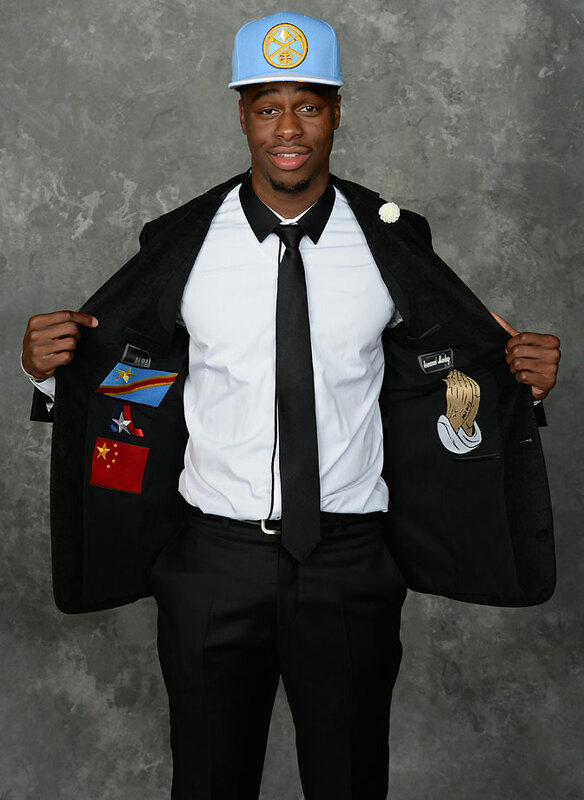 Not only does Mudiay represent great value, as he is arguably a top-four talent in this class, but he looks like a perfect fit on paper for a Nuggets team that has pledged to get back to running. A downhill point guard with very good athletic tools and finishing ability, Mudiay should plug in nicely as a starter from day one, assuming incumbent starter Ty Lawson is traded out as expected. It's hard to envision a better night for the Nuggets. On the flip side, it's hard to envision Lawson making a bigger fool out of himself than he did on Thursday. For some reason, the six-year veteran, who was recently hit with a DUI and may or may not have been involved in a chant welcoming an early end to Denver's season, decided to post live streaming video of himself watching the draft. That, in and of itself, isn't the worst idea, but Lawson complicated things by smoking a hookah as the night unfolded and then declaring "I'm going to Sacramento" after Mudiay was selected. That entire paragraph sounds like a farce but, sadly, that's exactly how it went down. Lawson needs to be better than that. It doesn't take a home-run pick to have a good draft. Put Ujiri down as a low-key winner for his deft handling of his back-up point guard spot. The Raptors' backcourt includes a 2015 All-Star in Kyle Lowry, a 2014 All-Star in DeMar DeRozan and, assuming he re-signs, the 2015 Sixth Man of the Year in Lou Williams. That group lacks a real defensive stopper, and last year's back-up point guard, Greivis Vasquez, certainly wasn't helping in that regard. Ujiri managed to send out Vasquez in a trade with Milwaukee, netting a future first-round pick and a second-round pick in return. Then, Ujiri snagged Vasquez's replacement by using his first-round pick to draft a big, defensive-minded guard in Delon Wright. Not only did Ujiri get an NBA-ready player on a cheap rookie deal, he also added multiple assets for the replaceable Vasquez. Next summer, when Vasquez is a free agent, it's possible that Wright will have already established himself as a better fit for coach Dwane Casey. That's a good day's work. It's hard to find the logic in trading for Vasquez from Milwaukee's perspective. 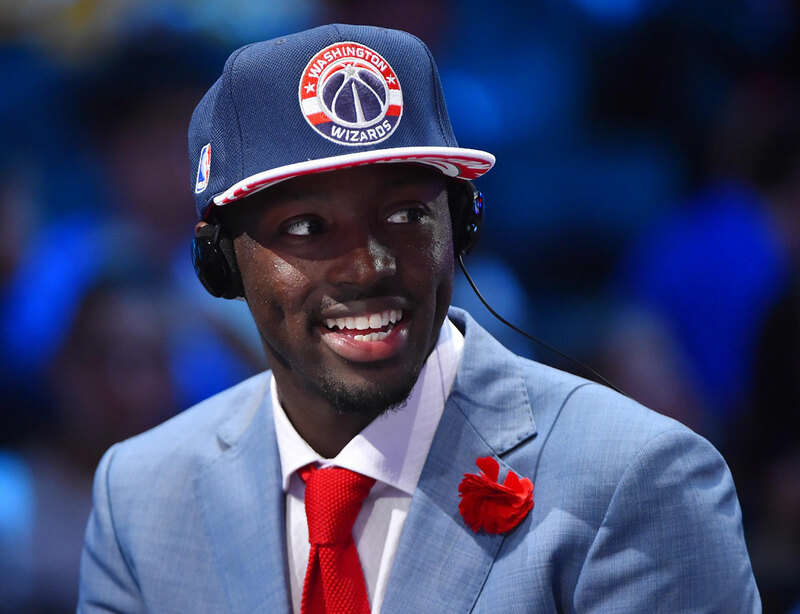 He's fairly expensive by back-up point guard standards ($6.6 million), he's a one-way guy, and he's not a major upgrade over Jerryd Bayless, who is already under contract for next season. How that adds up to sacrificing a first-round pick, even a conditional one, is unclear. 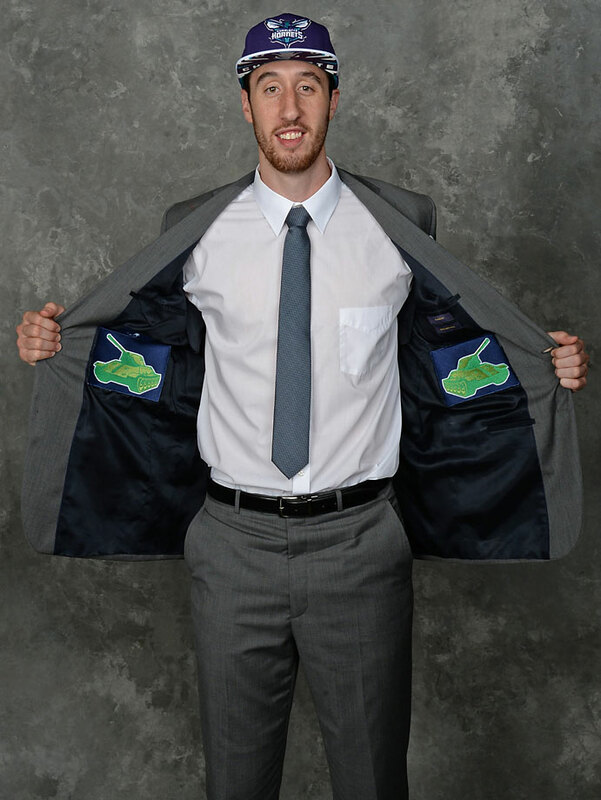 Wisconsin's Frank "The Tank" Kaminsky rocked a custom suit jacket with tank logos inside each breast while also wearing socks that featured his own likeness. It's your world, Frank, we're all just living in it. 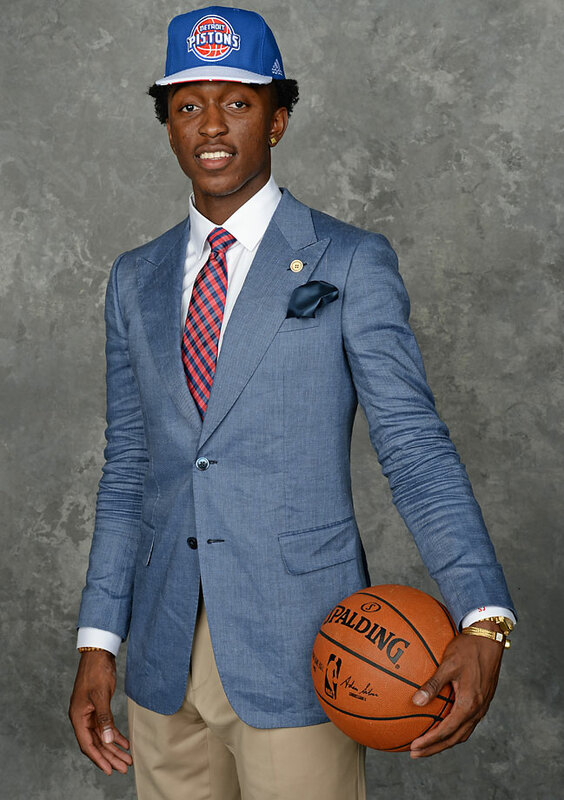 Maybe Louisville's Terry Rozier wore a great suit. Maybe not. We'll never know, as Rozier was so excited to be selected by the Celtics at No. 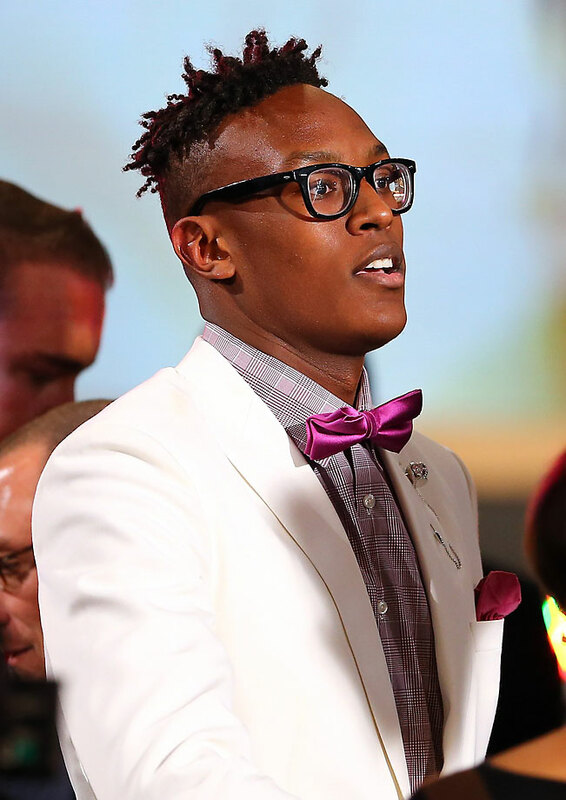 16—far ahead of where most mock drafts pegged him—that he jumped into a pool before stripping down. Here's the soaked evidence. Good times. 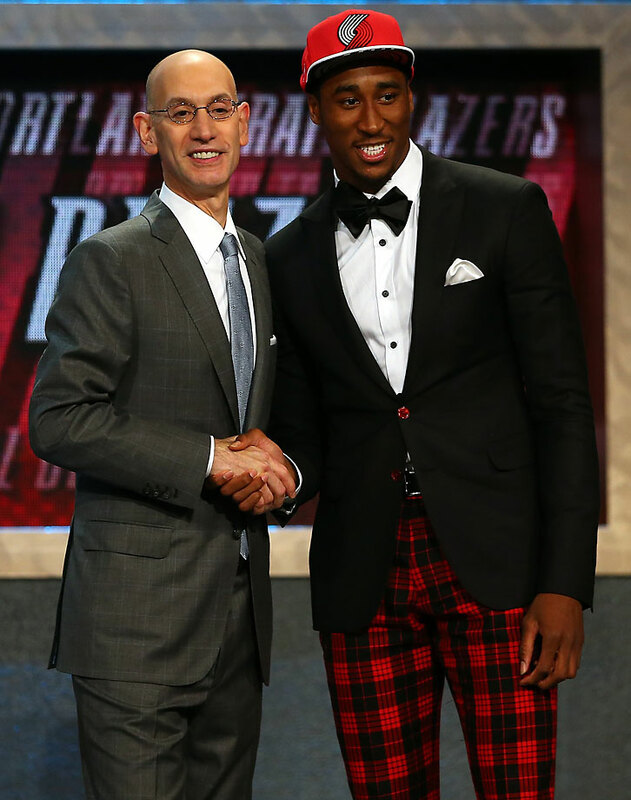 Draft night lacked a blockbuster trade, but former Nets center Mason Plumlee won't be complaining about his move to the Blazers in a deal that sent first-round pick Rondae Hollis-Jefferson to Brooklyn. Plumlee has been a volatile stock during his two-year NBA career, and he saw inconsistent minutes under demanding coach Lionel Hollins last year. An athlete best suited to an up-tempo style, Plumlee was stuck behind Brook Lopez on Brooklyn's depth chart and stuck playing on one of the league's slowest teams. In Portland, Plumlee pencils in as a possible starter if Robin Lopez departs in free agency. What's more, if All-Star forward LaMarcus Aldridge departs in free agency and the Blazers are forced to proceed with a rebuilding effort, Plumlee would be in line for a very significant role. Portland coach Terry Stotts has no problem playing up-tempo, and he will likely look to push the pace if both Aldridge and Lopez depart. 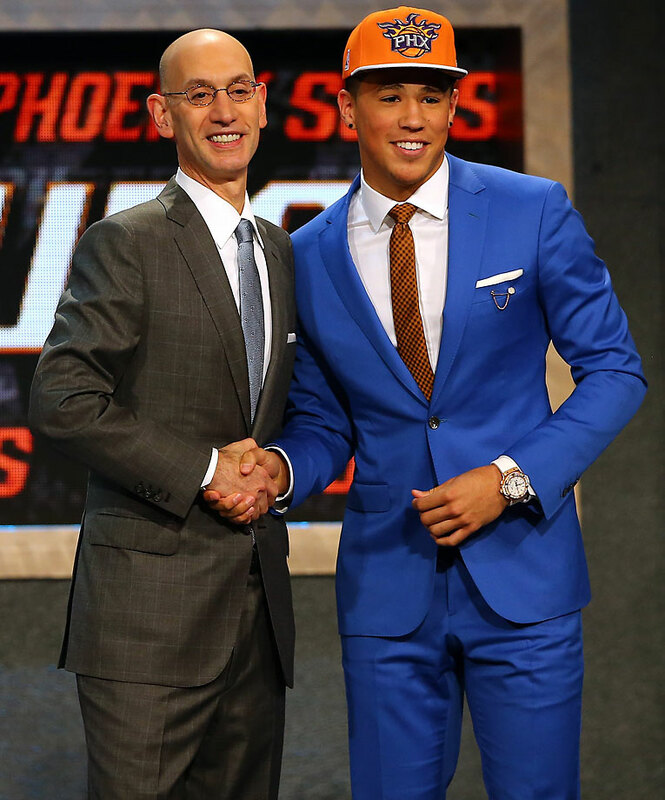 That could suit Plumlee nicely and set him up for a better opportunity to cash in on his rookie extension. One minute, Spencer Hawes was chilling on a beach in Mexico, getting his hair braided and trying to decide how he could bounceback after a rough first season with the Clippers. 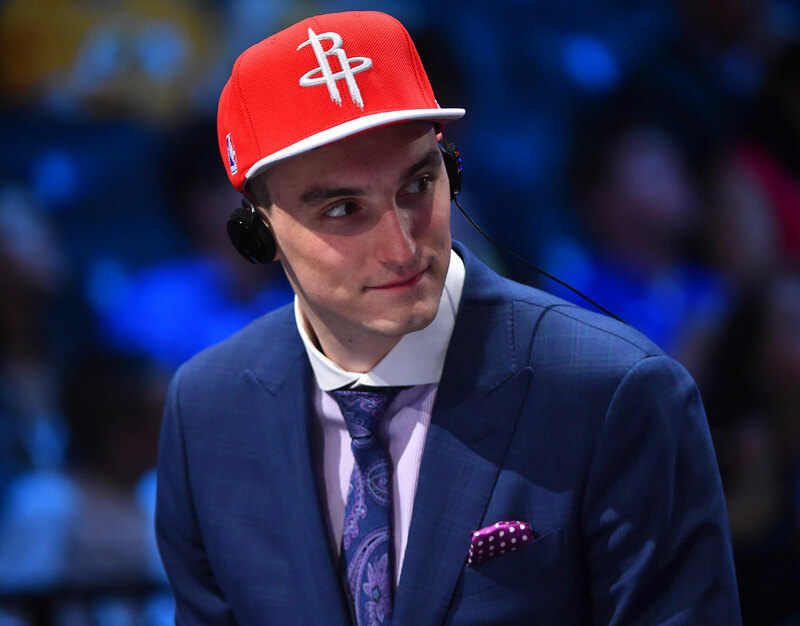 The next, Hawes is traded to the Hornets, where he is now competing for minutes with 2013 lottery pick Cody Zeller and Kaminsky, a 2015 lottery pick. All three players are seemingly stretch options alongside Al Jefferson, who will play major minutes and demand lots of touches down low. There's really no way of accommodating everyone in this log jam, barring a trade. There again appears to be no obvious rhyme or reason to what Michael Jordan's Hornets are doing. His motto remains the same: Just do it. 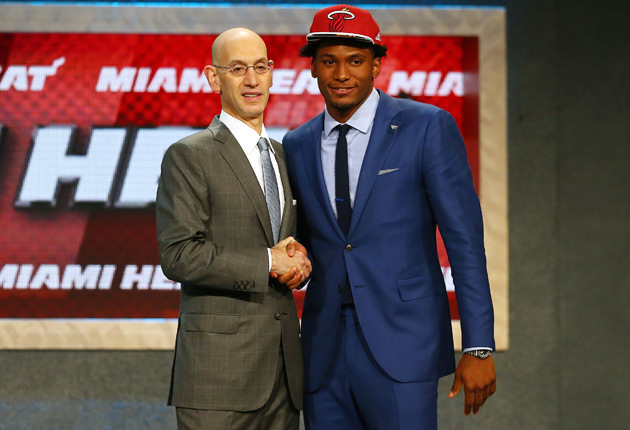 The Heat represent a great fit for a very promising player, and Duke's Justise Winslow represents great value at No. 10. A top candidate to be this year's "Why did so many teams pass on him?" player. As if falling on draft boards over the last year wasn't bad enough, Kentucky's Aaron Harrison went undrafted after watching six of his college teammates get picked. That group included four Wildcats in the top 13 and, in the cruelest twist of the knife, his own twin brother, Andrew, at No. 44. 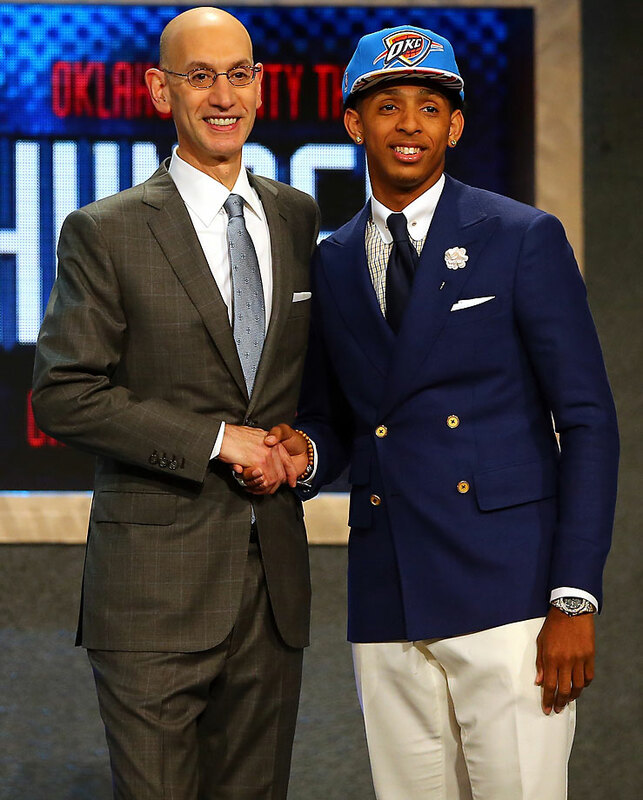 Thursday marked a pretty good end to a whirlwind journey for Murray State's Cameron Payne, who went from unheralded high school recruit to lottery pick. and landed in Oklahoma City, where he will put his passing instincts and wingspan to good use for a contender. 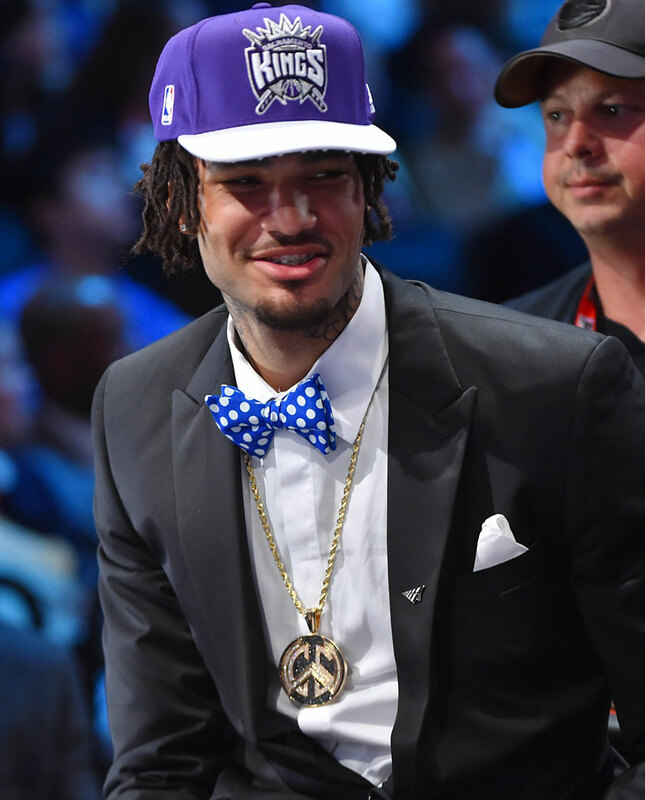 Even better, Payne dropped arguably the line of the night, when he declared in his post-selection interview that, "There is no ceiling for Cameron Payne." Not that long ago, Kansas's Cliff Alexander was viewed as lottery material. Instead, the Kansas big man managed to go undrafted after going one-and-done and finding himself caught up in an NCAA investigation over improper benefits. If there's any consolation for Alexander, perhaps it can be found in the case of James Michael McAdoo, who was a "Loser" in this column one year ago after a similar lottery-to-undrafted crash. McAdoo went on to make the most of the tough turn of events by claiming a roster spot with the NBA champion Warriors. NBA president of basketball operations Rod Thorn was recognized by commissioner Adam Silver between the first and second rounds of the Draft. Thorn, 74, is retiring this year after a long career as an NBA player, coach, front-office executive, and league office executive. The obvious highlight of the acknowledgement came during a video, in which none other than Hornets owner and NBA legend Michael Jordan wished Thorn well, calling Thorn "the man who discovered Michael Jordan." Thorn, of course, selected Jordan with the No. 3 pick in the 1984 Draft for the Bulls. Getting a GOAT shout out from the GOAT? Exiting stage left doesn't get any better than that. 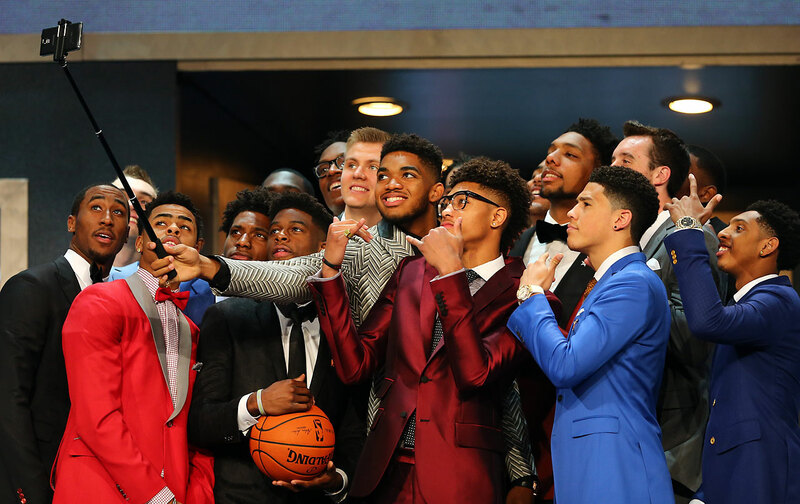 Karl-Anthony Towns holds a selfie stick with other top prospects before the start of the 2015 NBA Draft at the Barclays Center in Brooklyn.